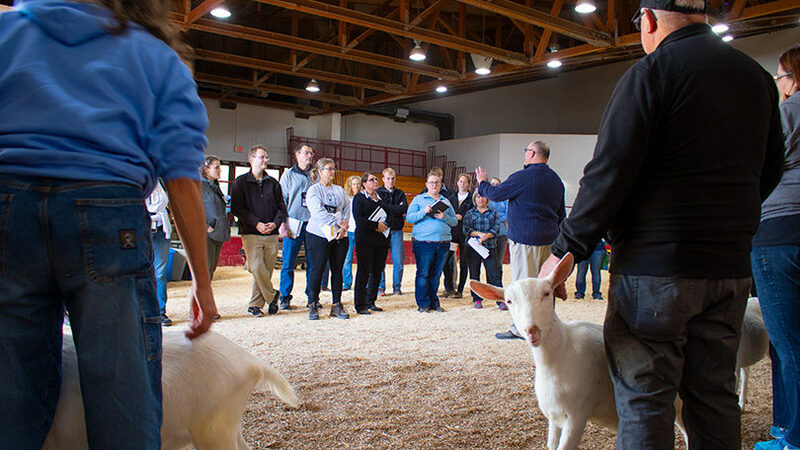 Fewer than 150 people in the United States and Canada are currently licensed to judge shows sanctioned by the American Dairy Goat Association. To qualify for a license, applicants must attend a Pre-Judges Training Conference and then attend a Judge’s Training Conference (TC) and pass a series of four basic tests of proficiency. In recent years there have been two Judges Training Conferences held annually – one in the summer and the other during the ADGA Annual Convention in October. The October training conference held during ADGA Annual Convention is posted at ADGA Judges Training at Convention. A Pre-Judges Training Conference (Pre-TC) will be offered on Friday June 21st. A full ADGA Judges Training Conference (TC) will be offered Saturday, June 22nd through Sunday, June 23rd. Colleen Jolowski to head food committee to offer breakfast and lunch on all days. Don’t let the cost of the training keep you from considering becoming a licensed ADGA judge. There are funds available to cover the training conference fee to successful applicants through the Harvey Considine Memorial Fund.